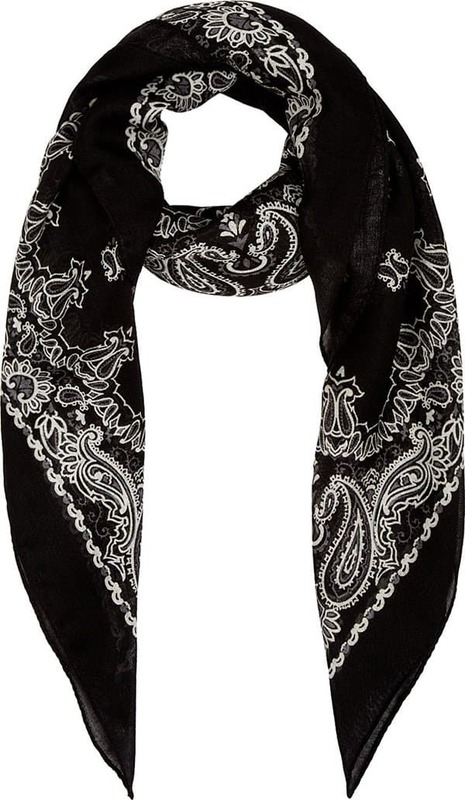 We were initially going to coin this post “How to Look Rocker Chic in a Bandanna”, but then that would have sounded too cliché. Plus, we didn’t want you to conjure up an image of Axl Rose and his signature attire — long hair with a bandanna wrapped around his head — hence the title. It’s no secret that you can wear the scarf as a belt. A scarf is one of the most versatile accessories that play so many hats. The look you get when you use the neck warmer as a belt can range from feminine to boho, but did you know you can also get a rocker chic vibe out of wearing one? We acquired this style cue from Fergie recently. 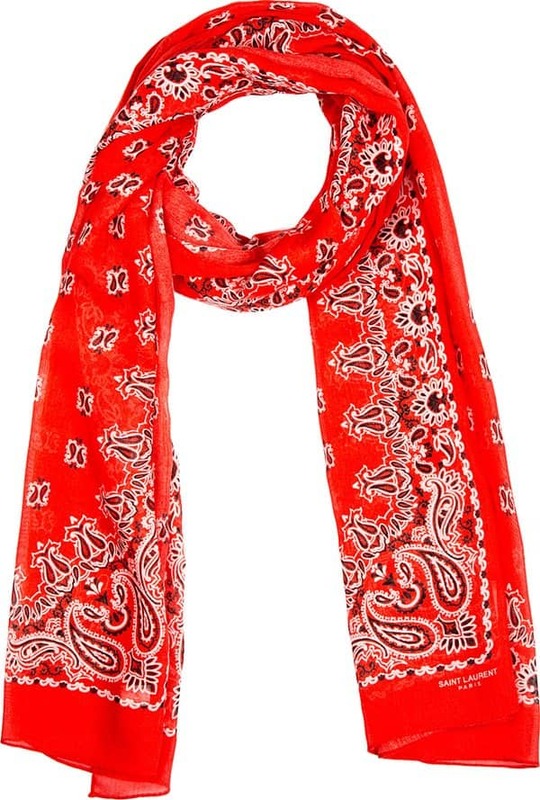 The Black Eyed Peas vocalist has been putting a couple of paisley printed bandanna-inspired scarves on heavy rotation for the past few weeks. She used them as statement belts for her edgy, punk-infused outfits. Here’s a look at one of those outfits we’re talking about. She put together this particular getup for a plane ride from New York to Los Angeles last June 11. The attire, which consists of ripped black skinny jeans worn with a dark t-shirt and some studded Western-inspired boots (the Suzanna from Chloe), is quite heavy on the rocker vibe, though not much on the feminine. Couple that with the round-rimmed peepers, metal baubles, and hipster hat, and you basically get a very cool-looking chick ready to rock the night away. Do you like Fergie’s style? Will you wear a scarf as a belt and work it with an edgy, punk-infused outfit? A smaller square version tinted in black and painted with the same paisley print is also available if you want it. Fergie actually has both pieces. Of course, with price tags that go from $625 to $825, we recommend you grab just one — unless your pockets are deep enough to afford it.